Let's start with my class. It was awesome. The students did fantastic work. Someone asked me if I learn a lot from my students. My answer is yes but not in the way people might expect. The most valuable thing I learn from students, is how they meet and overcome the internal challenges arising from the improvisational process. I am always impressed at how much people understand that this process goes deeper than the bright colors and pretty patterns of the materials they are working with. I also enjoy sharing my knowledge. It is very satisfying. Lots of beautiful quilts in the show. I will post lots of photos of the show quilts that inspire me when I get back to Oakland. 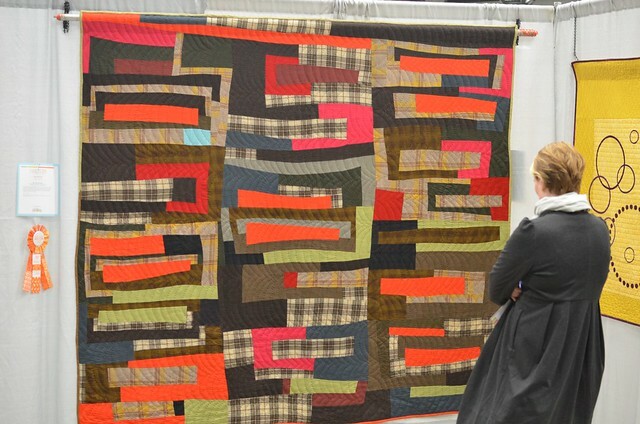 My Log Cabin Modern Improv took the prize in the large Hand Quilting category! That's $500 bucks!!! I was so pleased. Not many people hand quilt these days, and it is such a pleasure to be recognized for such a fundamental and basic skill. There is so much more to say. After hours have been filled with questions about what is modern quilting? Is it becoming codified? Does this exclude people and in what ways? 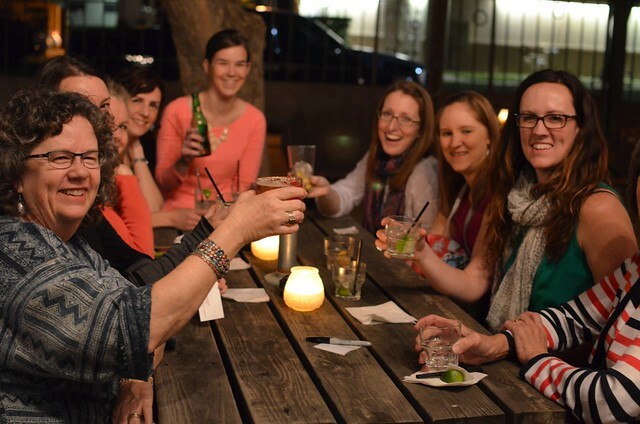 As quilting and the realm of "women's work" is becoming an "industry" --because there IS money to be made-- how do we as makers, teachers, writers and business owners walk the line between honoring the tradition of sharing and support within the community but also recognize that ideas and individual contributions are monetarily valuable and have to be respected. So many interesting conversations! I've been giving and receiving lots of cards from people and when I get back to Oakland I hope to feature a little something from every person who has shared their info with me. Okay my head is spinning. Off to bed!